Tings Kathmandu The best hotel location in Kathmandu What a fantastic opening of Bardo by Aditya Aryal!!! What a fantastic opening of Bardo by Aditya Aryal!!! We would have shared the pictures from the opening yesterday. The opening that looked like a disaster all day ended up becoming one of our most successful art events ever. So we spend our Saturday relaxing with guests from the night before coming by for burgers and art talk. We were praised by the Gods. In the beginning we thought the Gods were against us. Why did they surround us with all these threathening Maoists? And why were they drowning us in water all day while all the food in the kitchen was piling up at the same time? The kitchen was preparred to throw it all away by the end of the day. 15 minutes before kick off we were forced to move the speakers to our patio just outside the guest’s room to protect them from the pouring rain. While doing that government closed for the electricity which again forced us to use our inverters. First came the sun and then came the first guests. At 7:30 we were more than 200 scattered around our garden, inside the lounge on our first floor terrace and on the roof top. At 8 pm people were dancing. At 8:15 pm we stopped serving drinks and food. At 9 pm people were chilling in the lounge. At 10 pm people went to club 25 hrs or home. At midnight the weather Gods took over the show. But the best thing of them all. Aditya Aryal sold 3 pieces so far – & 2 international art professionals got interested in his art. What a priviliged it is to have artists, friends and especiallly a staff that makes events like this possible. And our staff… eternal love!!! Bardo by Aditya Aryal will close on 10 April. If you are interested in a private presentation by Aditya Aryal CONTACT me on ttingstrup@gmail.com. 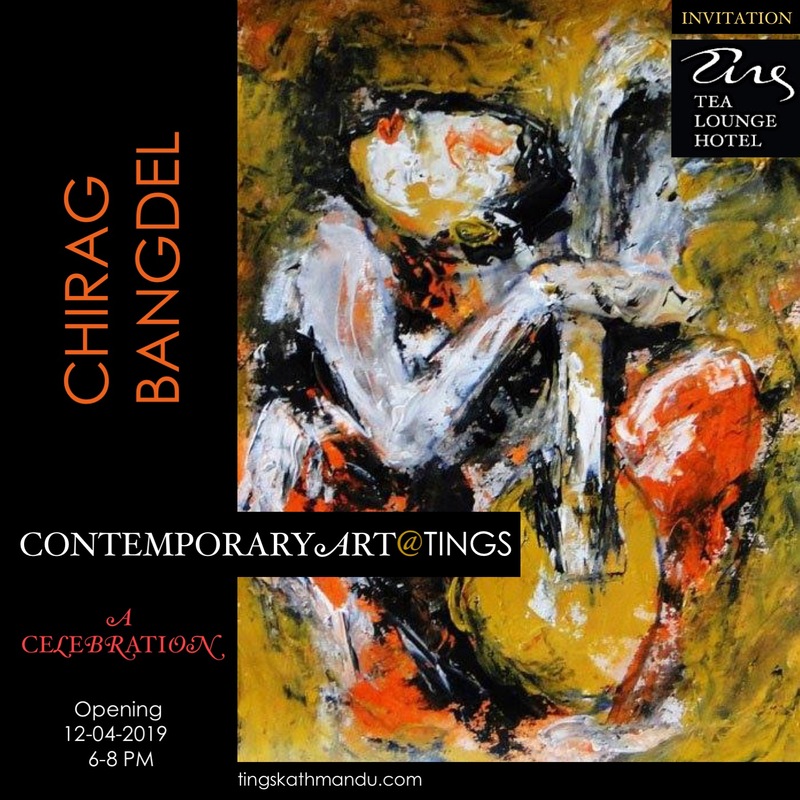 Posted in Art@TingsTagged Aditya Aryal, Art@Tings, Bardo by Aditya AryalBookmark the permalink.